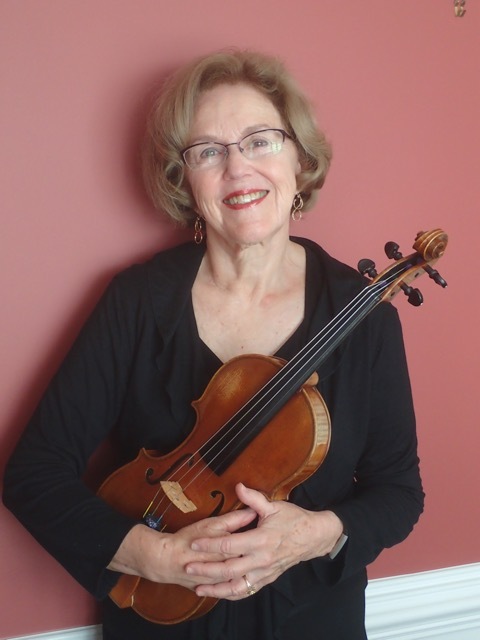 Margaret Thomas, a member of the Kennedy Center Opera House Orchestra first violin section since 1978, graduated from Oberlin Conservatory of Music with majors in both violin performance and music education. She was a full scholarship student and was elected to Pi Kappa Lambda National Music Honorary. Important teachers have been Andor Toth, Paul Shure, John Frazer and Robert Gerle. She was a winner of the Indianapolis Symphony Orchestra’s Young Artist's Competition and subsequently soloed with that orchestra. Other solo appearances have been with the Friday Morning Music Club Orchestra and The Fairfax Symphony for which she served as concertmaster for sixteen years. She has performed in other venues such as the Philips Gallery, Wolf Trap Farm Park for the Performing Arts, the National Theater, the National Gallery, the Washington National Cathedral and with the Virginia Chamber Orchestra and the Washington Bach Consort. During her career, she has been active in the chamber music field as a member of the Vermilion String Quartet and has taught both privately and in the Fairfax County public schools. She served as a member of the KCOH Orchestra Committee for 14 years.